Sketch Engine can use bilingual and multilingual texts, called parallel corpora, to look up a word or phrase and see example translations in context. This is called a parallel search and the result is a parallel concordance. Sketch Engine contains ready-made parallel corpora in many languages. You can also upload your own texts and build your own parallel corpus. 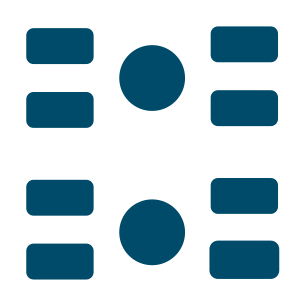 To display a list of available parallel corpora, log in and go to SELECT CORPUS ADVANCED. To display only corpora in the required language pair, Use the selectors A and B. 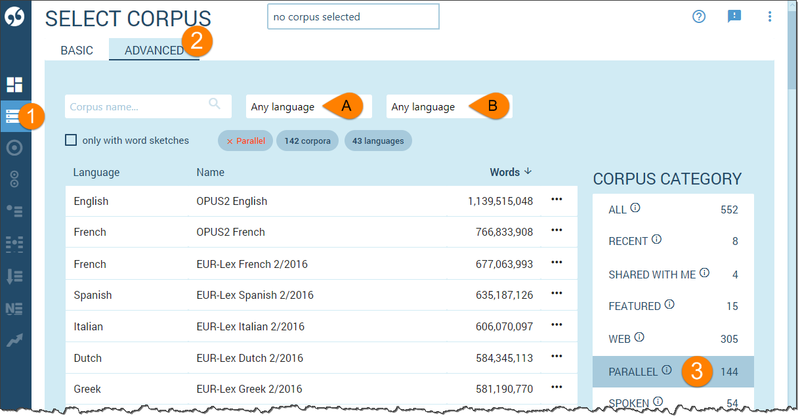 Each language of a multilingual corpus exists as a separate corpus as well and can be also analysed on its own. 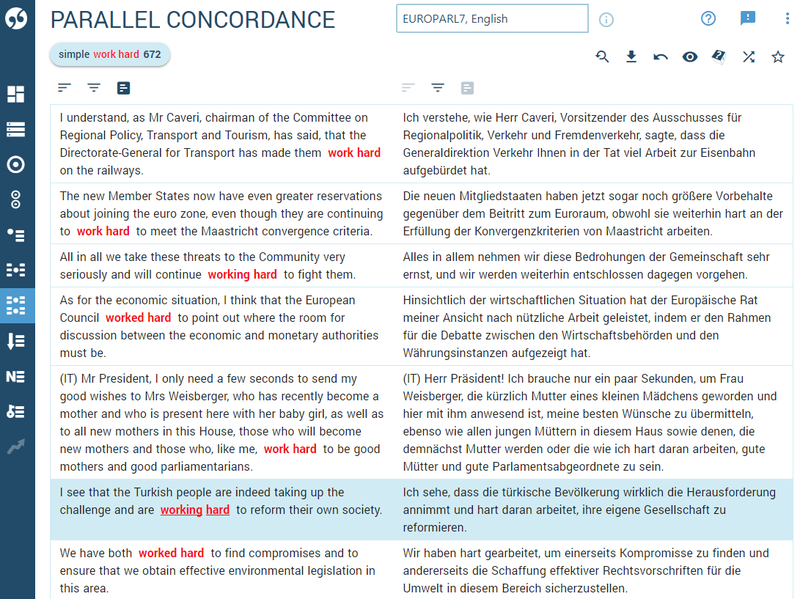 After selecting the corpus, click Parallel concordance on the corpus dashboard. Selection of the language that will be displayed on the left. Setting criteria for the second language is optional. When used, the translation will only be displayed if it contains the required word or phrase. Language in which the translations should be displayed. An unlimited number of languages can be searched at the same time. A concordance line will only be shown if some data are found in all selected languages. You can work with the result in the same way as you would with a monolingual concordance.